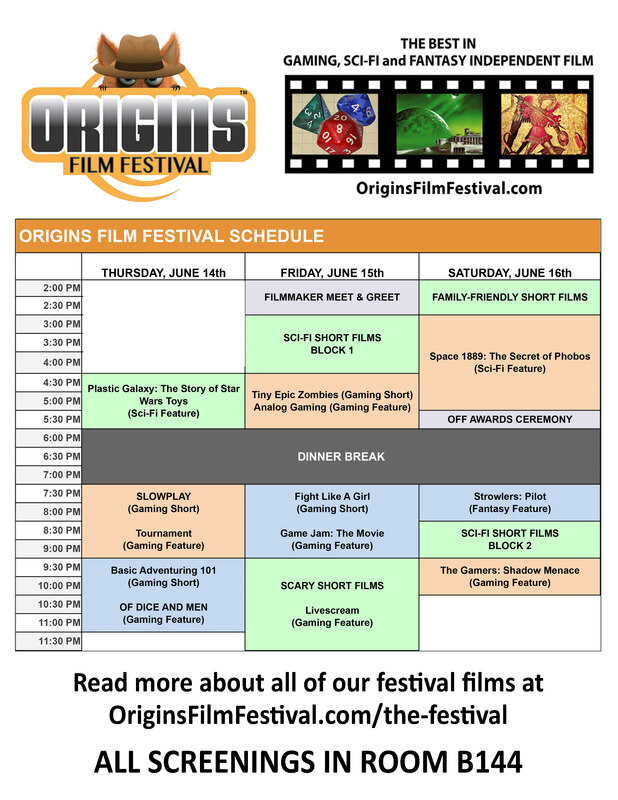 The ORIGINS FILM FESTIVAL™ showcases independent feature and short films of any genre related to gaming, sci-fi or fantasy. OFF is presented as part of the ORIGINS GAME FAIR™, one of the nation’s largest tabletop gaming conventions. Origins Game Fair features over 4,500 events including games of every variety: tabletop games, miniatures games, roleplaying games, LARPs, traditional games, collectible card games, and even poker. OGF is run by the Game Manufacturer’s Association (GAMA) and held every year at the Greater Columbus Convention Center in Columbus, OH. Submissions open November 1st, 2018 exclusively on FilmFreeway.